What type information travels fastest? In my opinion it’s false information, rumors, untruths, things that people want to believe. Society finds it easy to pass along things that ‘just don’t seem right’ or are not easy to confirm. Why is this? It’s simple… because it’s easy to do. Many people can begin a conversation with a stranger and pass along information that they are unsure of but are scared to mention the words ’God’, ’Jesus’, or ‘religion’. 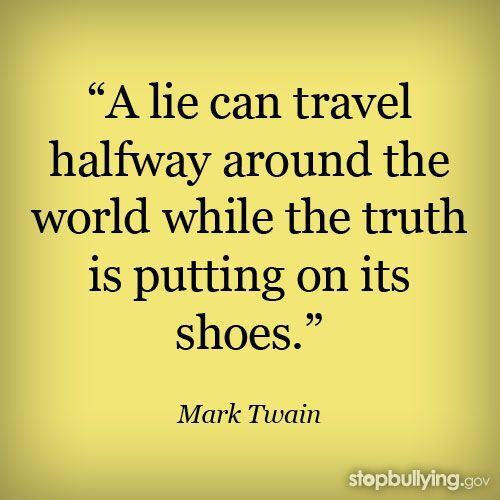 As quick as many people are to spread untruths, we should be ready to spread the Truth. This Truth…the Word of God…is what we stand on. The Grace and Mercy of our Savior are what should lead and guide us each day in our conversations and interactions. Our Faith and knowledge of how we’ve been Blessed should have us ready to ‘Shout and Go Tell’ the world about the goodness of our God. Have you shared God with anyone recently? Ever? Have you told someone of the Blessings in your life? Are you ready to ‘Go Tell It’? Go find your mountain top so that you can confidently shout about your thankfulness and the awesomeness of God.